Here at Cartwright’s Market, we are the go-to source for the highest quality meats and produce in the Rogue Valley area. We also have a local delicatessen that offers a variety of delicious specialty meats and cheeses. We have many different varieties of cheese for sale, some of which are exclusive offerings here at Cartwright’s Market. Some of these exclusive cheeses include our triple creme cheese and our blue cheeses. We even cut our parmesan right cheese off the block, meaning it’s about as fresh as you’re ever going to get. We take meat very seriously here at Cartwright’s Market. We smoke and flavor many of our meats in-house using our unique and delicious recipes. Some of our specialty meats include sausage, pepper sticks and jerky. 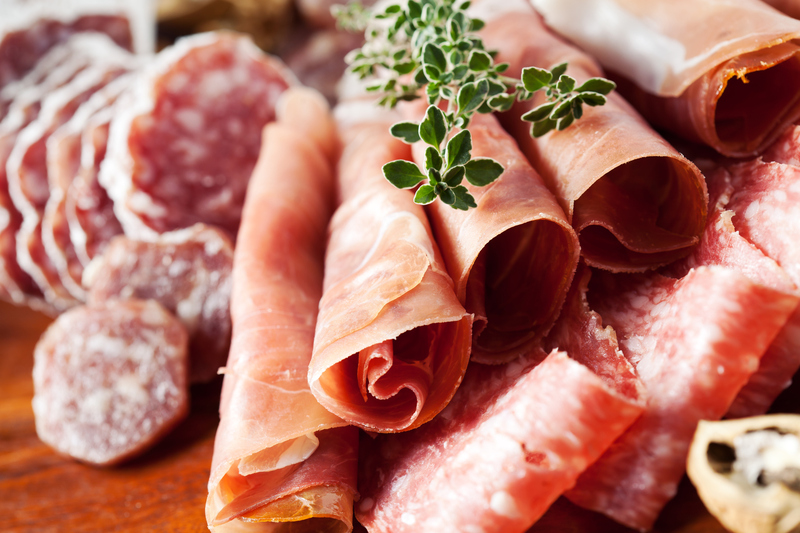 We also import specialty meats, including Lebanon Bologna and Italian dry wine salami, just to name a few. Additionally, if you’re looking for ribs, bacon, chops and chuck, you’ll be happy to know that we sell them individually as well as in bulk, perfect for if you’re planning a large feast. Can you imagine a place that offers a huge selection of delicious specialty meats and cheeses but doesn’t combine them into sandwiches on site for their customers? Neither can we, which is exactly why we will use our meats and cheeses to build you a made-to-order sandwich at our deli counter, whether for it’s for lunch or dinner. If you’re a fan of our sandwiches, then be sure to drop in at Cartwright’s Kitchen and Grill for a more extensive menu. If you’re interested in picking up a few of our specialty meats and cheeses, then be sure to drop in at Cartwright’s Market today.